A 25-YEAR-OLD nurse has suffered brain damage and kidney failure after she unknowingly drank a cocktail laced with methanol on the final night of her Indonesian island holiday. Jamie Johnston has spent the past three weeks in intensive care units in Bali and Darwin hospitals after ordering a jug of arak - a rice wine popular throughout south-east Asia - mixed with fruit juice to share with her mother at the Happy Cafe restaurant in Lombok. Arak is traditionally made from fermented rice, palm sap and other base ingredients and its strong alcohol content makes it popular with tourists. A batch contaminated with methanol - a toxic chemical compound often used as an anti-freeze or in paint - and sold in Bali in 2009 killed 25 people, including a British national, an Irish woman, a Dutch man and an American woman. Travel advice issued by the Department of Foreign Affairs for Indonesia contains a warning that foreigners have died after ''consuming brand name alcohol or local spirits adulterated with harmful substances''. Ms Johnston's mother, Lyn, told the Herald test results had shown her daughter suffered methanol toxicity from the drink on September 20 at a restaurant highly recommended to them by locals. After being taken off the plane in Bali in unbearable pain, the 25-year-old from Newcastle became unconscious and has suffered brain scarring and renal failure and has been left unable to move or talk properly since. Doctors still cannot tell her family what the long term effects will be. 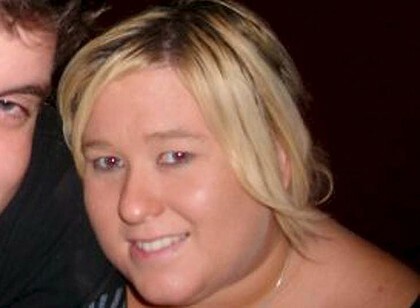 Mrs Johnston said her daughter's chances of making a full recovery changes very much ''day-to-day''. Mrs Johnston said doctors in Darwin had told her only a small amount of methanol can be lethal and she might have only been spared poisoning because her daughter drank the first glass. Not covered by travel insurance, Mrs Johnston paid more than $45,000 to have her daughter flown from Bali to Darwin to receive treatment in Australia. The NSW Health Minister, Jillian Skinner, is working to have her airlifted from Darwin to Newcastle to continue her treatment at John Hunter Hospital, where she works as a nurse. It is hoped that will happen by the end of the week. "Australians love Bali - especially at this time of year - so this is a tragedy which could befall any one if us. It is horrific to think that simply by enjoying a few cocktails on a family holiday this young nurse is now facing a very grim future,'' Mrs Skinner said. and they can't even pirate DVDs properly. They always glitch half way through. At least she wasn't hot..